It has been five weeks since my wreck. As the weeks pass, I have to admit that it gets harder to stay optimistic about the future. It’s not that I’m healing badly – most people seem to think that I’m doing amazingly well. X-rays later this week will show if they’re right. No, if anything my increased mobility has created more of a problem than the period when I was stuck on my back. My issue is not a physical one – it’s all in my head. Time has a way of eroding confidence and creating second guessing. There is a reason for the old cliché about getting right back on the horse – but sometimes we just don’t have that option. When I struggle with doubt, I generally challenge myself to face it down and try the thing that worries me. But, as the doubts creep in about my ability to rise above this accident, and whether I’ve taken the wrong path with our horses, I am physically unable to challenge those doubts. So, how to stay out of the shadows creeping into my mind? I don’t have the full answer, but this weekend I received some moments of assistance. Months of work finally pays off! Friday was our farrier’s visit. He’s a personable guy, really good with the horse, and does a great job. He’s been coming out for just over a year, and all of the horses have shown great improvement in behavior and in their feet. Nash was in the worst shape a year ago. Trevor has worked hard to reclaim the balance Nash’s hooves once had, but we had a setback earlier this year when Nash tore a shoe off while playing, and a huge chunk of hoof wall went with it. During the months he couldn’t wear shoes, between visits I kept up the work that Trevor was doing to pull back the long toes and under-run heels. The last visit, Trevor was able to just barely get shoes on, with little wall to nail to – and we’ve all held our breath these past seven weeks. The shoes stayed on, and Nash’s feet seemed to be developing appropriately. Well, when Trevor was done this time, Nash’s front feet looked the best they have in years! After nearly three years of cracks, abscesses, bruising, long toes, low heels … it was great to once again see a balanced, healthy foot with the correct angles! On Saturday we decided to visit an old friend who has recently suffered her own traumatic event. It was the first week after my accident, and I was watching the morning news. 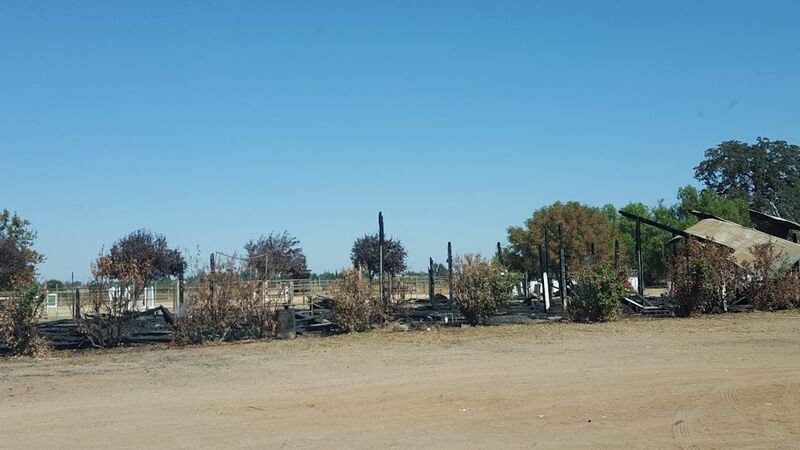 A “teaser” came up about a barn burning down, killing at least one horse. Every horse owner’s worst nightmare, I waited anxiously to hear the story. When they came to it, they gave the name of the town – the same area in which my friend’s barn is located. There was a troubled stable in that area, where the horses were being removed, so that was the first thought I had. But when they went to the on-sight reporter, and he named my friend’s stable, I was aghast! What is left of a once lively barn. One horse was lost in the fire, but the other eight in the barn were rescued with the help of neighbors. Everything else in the barn was lost. I wanted desperately to help, but I was on bed rest, and she lives an hour away. We managed to get donated equipment to her – but this was the first weekend I was up to making the drive to visit her. The site of the blackened rubble that had once been an active barn was more of a shock than I’d anticipated. After all the images of our recent devastating wildfires, I thought I knew what to expect. When it’s a structure that is familiar, and holds memories for you, it hits harder – even when it’s not your own place. Mom reuniting with an old friend. and he came right to the gate. He snuffled me all over, and did the same to my mother when she walked up. 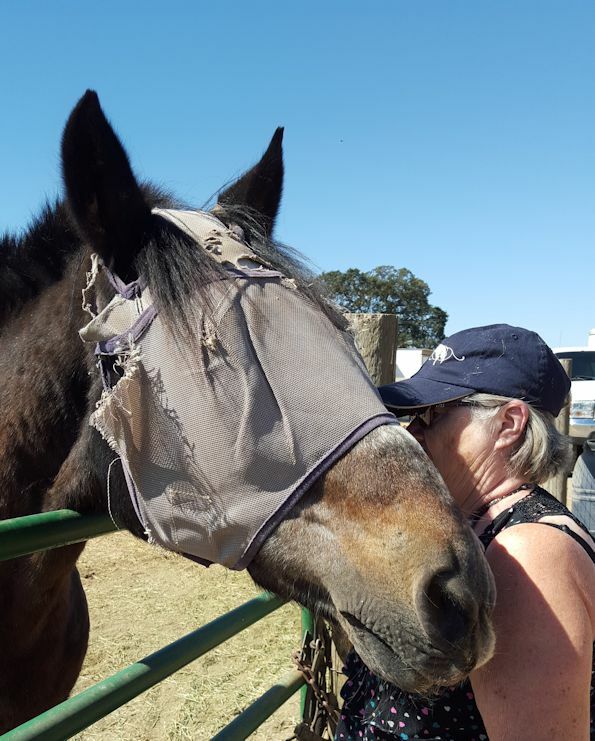 I’ll write more about him at a later date – but suffice it to say that there isn’t much that raises my spirits more than a horse who not only remembers me, but shows his affection upon meeting after many years! It was good to see my friend – we don’t visit often enough. Over lunch we shared the details of our respective recent traumas. We shared the emotions, good and bad, that went along with the experiences and their aftermath. We discussed our respective plans to return to “whole” again. We commiserated with each other. I tried to imagine the horror she’d gone through. And then my friend said this, about her own situation: “It could have been worse.” We all paused the conversation, looked at each other, then acknowledged – yes, in both cases, it certainly could have been worse! There’s nothing like a little perspective to bring you out of the shadows! I am making a positive difference for my current herd. I have made positive associations … you could even call them “friendships” … with horses in my past. In spite of my injury, we are all otherwise healthy and our homes (human and equine) are standing. Be good to your horses … and count your blessings! 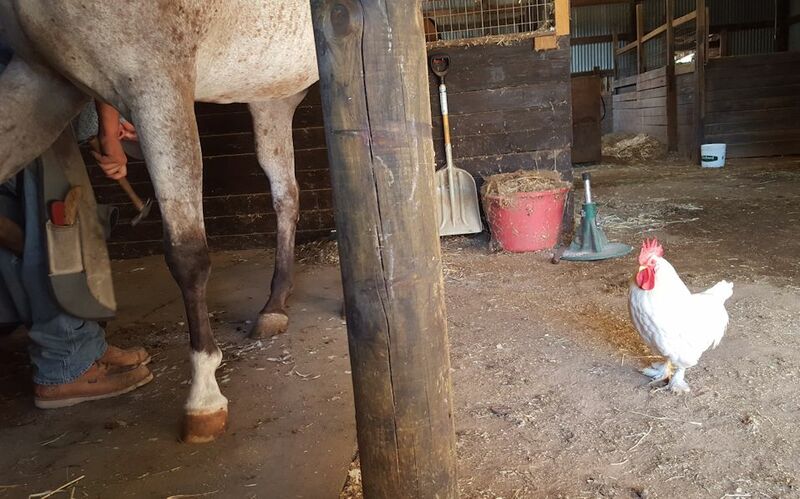 This entry was posted in My Journey and tagged barn fire, friendship, hardship, help, horses, old friends, perspective, self-doubt, self-pity, shadows, support. Bookmark the permalink.